About a year ago, I made a promise to myself that I will never wear a matte lipstick again. You know that dry, nearly-cracking feeling that liquid lipsticks bestow upon lips in exchange for budge-proof color? I'm over it. Sure, there are a few (non-liquid) exceptions — including semi-matte formulas like Rodin Lipstick and Charlotte Tilbury's Matte Revolution — that don't leave my lips more dehydrated than Spongebob Squarepants in Sandy Cheeks' water-free dome. Anything else is an absolute deal-breaker. Then I met Urban Decay's Lo-Fi Lip Mousse. Powder lipsticks in no way, shape, or form, are groundbreaking. They've been a staple in Korean beauty routines for years and are key when creating the ever-popular ombré blotted effect. But before Urban Decay's Lip Mousse, most powder lipsticks were messy as hell. Using — and ultimately loving — these innovative lipsticks meant sacrificing whatever clothes you were wearing, because by the time you finished coating your lips, your lap would be covered in loose pigment. 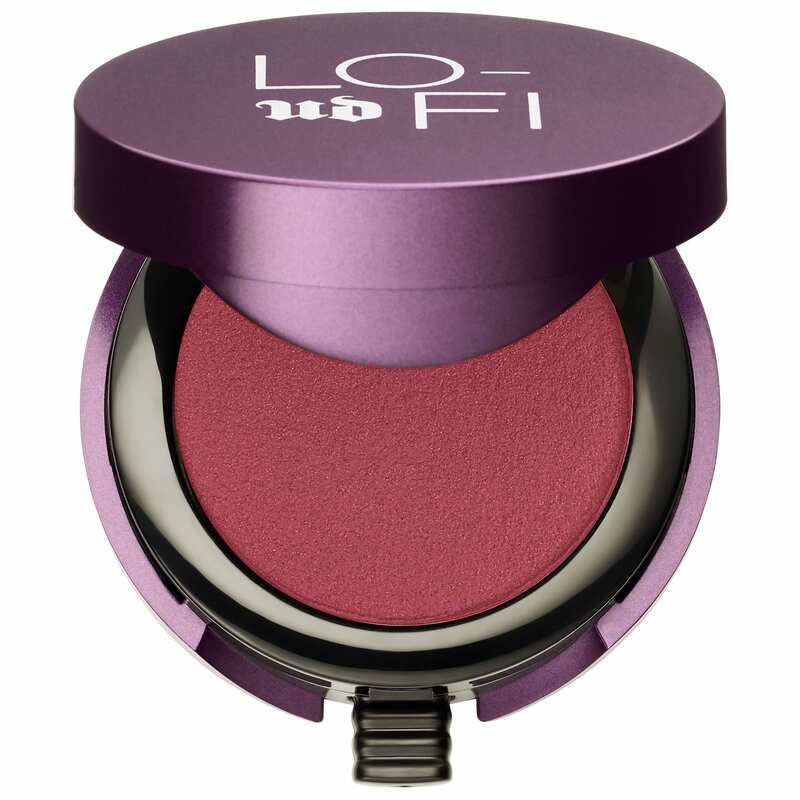 But Lo-Fi avoids the mess completely by pressing its pigment into a small, circular compact (that's small enough to fit in a clutch or your back pocket). The formula itself is bouncy, but firm, so you can use your finger or a brush to sweep it over your lips. And speaking of brushes, each Lo-Fi package houses a tiny sponge applicator in the bottom that reveals itself each time you open the lid. Normally, we'd render these pre-packaged tools useless in eyeshadow palettes, but in this case, they're necessary. At least, if you want the boldest results possible. The color is matte, bright, and as long as I'm not eating a greasy pizza, the shade lasts through two glasses of wine and a plate of tapas. It doesn't dry me out and, in fact, the longer you wear it, the more it dissolves to a flattering stain as opposed to patches of crusty color. And while it doesn't rid my heart of contempt for 99.9% of the matte lipsticks in the world, it does give me hope for a day when it will. Urban Decay Lo-Fi Lip Mousse, $22, available at Urban Decay.